Aromatherapy massage involves the blending of three or four essential oils (see the description and example of essential oils below) in a carrier oil (such as Sweet Almond) which is specifically blended for the individual. The essential oils are chosen according to the persons’ health, stress levels and personal preferences. The wonderful personalised blend is then massaged on to the skin creating a deep sense of relaxation and bringing harmony to the mind & body. If you are looking for Aromatherapy massage Harrogate, then call Patti Hemmings for a consultation. When essential oils are applied to the body they penetrate the skin via hair follicles and sweat glands and are absorbed into the body fluids, where they not only help to kill bacteria and viruses but also stimulate the body’s immune system, thereby strengthening resistance to disease. Each essential oil has it’s own character, unique aroma and different therapeutic benefits. For example, Geranium oil helps to re-balance hormones, Bergamot which is refreshing, uplifting and helps lift low mood. Black Pepper is stimulating and warming. Basil acts concentration. Neroli aids sleep. Tea Tree is a strong and effective anti-fungal & anti-bacterial oil. Eucalyptus boosts the immune system. Rosemary improves the circulation. There numerous essential oils to choose from and no two essential oils are quite the same. Aromatherapy massage Harrogate is one of the best ways to enjoy Aromatherapy because you not only receive the therapeutic properties of the essential oils but you also get the wonderful benefits of the massage itself. The therapeutic action of the essential oils when brought together with the revitalising effects of massage stimulate all of the organs in the body, plus the skin, muscles, nerves and glands. The increased circulation of the blood and lymph flow also assists with the clearing of the body’s toxins. Essential oils also influence our emotions and can help calm nerves and encourage a more positive state of mind. 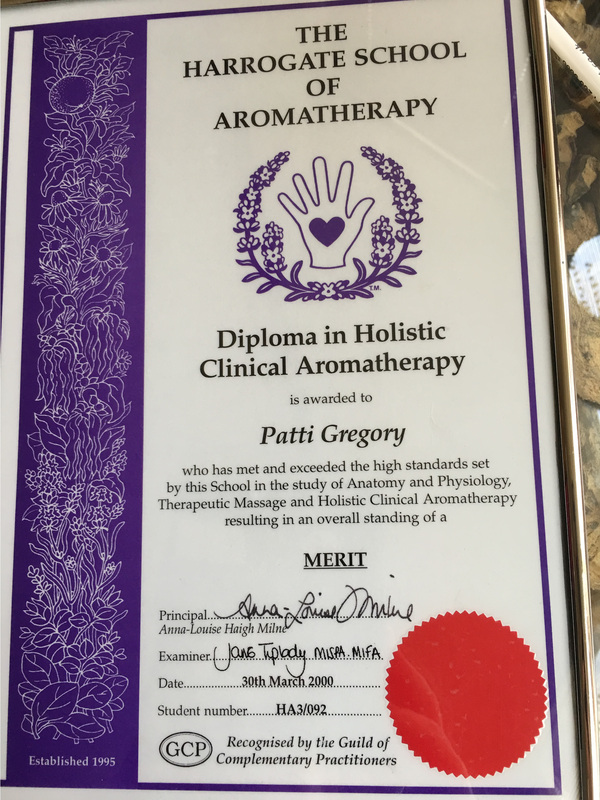 I hold a Diploma in Holistic Clinical Aromatherapy (2000) and trained with Anna Louise Haigh at Lavender Court (previous known as The Harrogate school of Aromatherapy) in Harrogate. 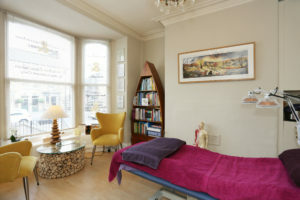 I then went on to do further qualifications in Sports massage and sports injuries, On-site massage, Manual Lymph Drainage, Indian Head Massage, Advanced Massage techniques, Thermo-Auricular Therapy, Bach Flower Remedies, Reiki 1 & 2 at the Sandra Day Aromatherapy school in Rochdale and Diana Burton Reiki Master. Throughout the massage you will be covered with towels and only the part of the body being massaged will be uncovered. For full body massages, you will be asked to undress down to your underwear but provided with a large towel to wrap around yourself. 97% of the essential oils used in the massage are organic and the usual carrier oil used is Sweet Almond but grapeseed oil can be used as a alternative.